Exquisite metal and glass is combined to create the Orbit 1 Ceiling Light by Porta Romana. 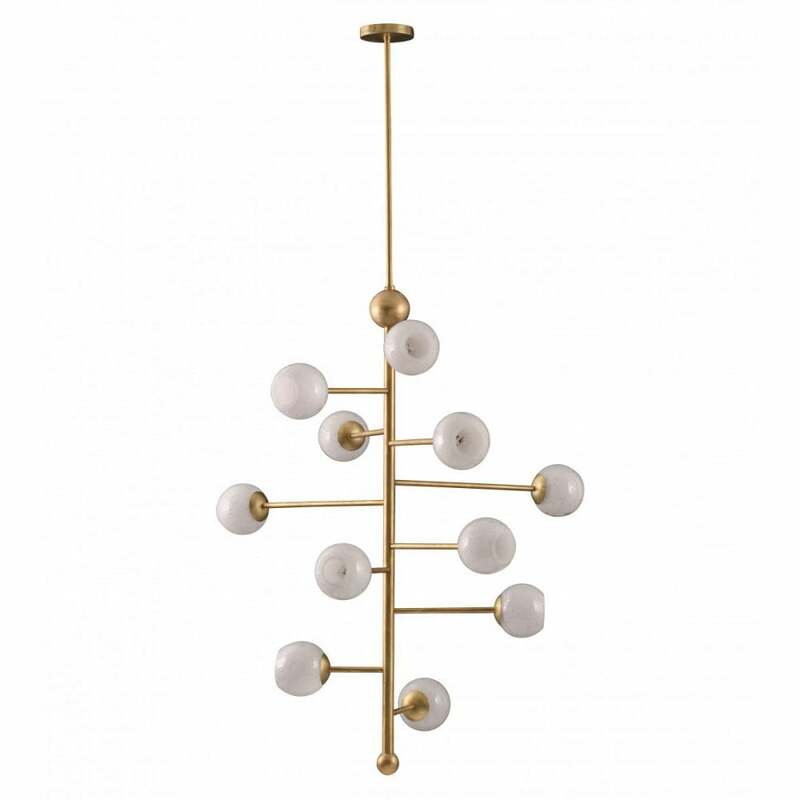 Modernist in design with a nod to mid century modern style, this beautiful ceiling light bridges the gap between form and function. Decorative, milky glass domes are positioned at the end of every reaching arm to create the linear design. Pearl-like in colour and shape, each shade complements the hand-crafted framework. Ideal for spaces with brilliant high ceilings, the Orbit Ceiling Light features a long drop to maximise its alluring presence. Available in a choice of finishes, choose from Bright Brass or Steel with Milk or Shadow Glass shades. Make an enquiry for more information.